The 2018 MotoGP season is over and the lull of MotoGP-less winter (or summer if you live in the correct hemisphere) is upon us. The last encore for us fans is the Valencia test that takes place two days after the last race. It used to take place the day after, but most riders were still pissed from the night before, and so it was moved on safety grounds. What makes it extra special and, at the same time, torturous is that it serves as a glimpse into the next season, where riders are sporting new colours and riding new bikes. It’s like watching a truly good movie only to be treated to the tantalising trailer of the sequel and told it will be launched only in a year’s time. It’s actually cruel, when you think about it. So here are the interesting bits that happened during day one of the two day test. In the morning it was wet and cold, so riders stayed warm and dry in their motor homes, venturing out sometime towards midday. It began raining again with 90 minutes of the day left, cutting things short. 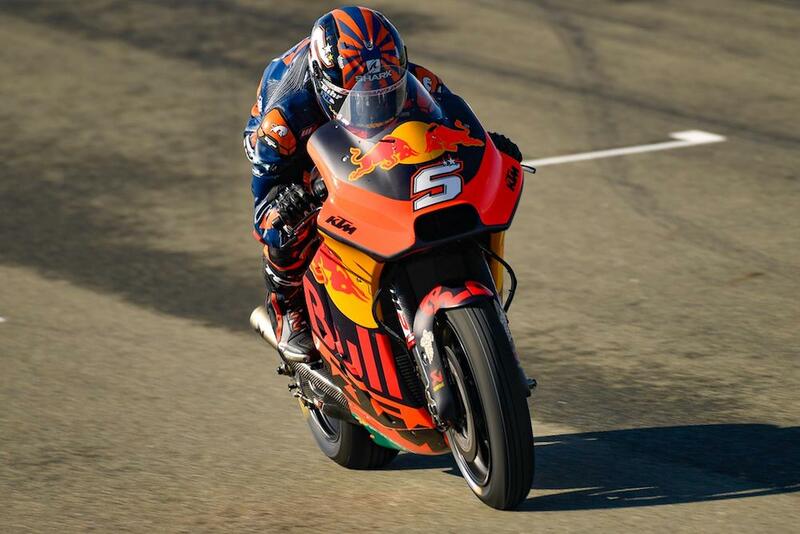 Johann Zarco was the first to take to the cold but drying track aboard his new KTM adorned with his signature number 5. He did three laps on wet tyres, nearly lost the front going into Turn Six and decided that lapping at that moment was overrated. We then had lots of dryness from lunch time and riders slowly emerged from their various pits. It was freezing cold and windy, but dry. The Yamahas kept the same chassis they had been using all year and concentrated only on motors. This is in stark contrast to their 2017 plans that involved about four million different frames but the same pig of a motor. The riders started on the 2018 motor before swopping it for a new version. 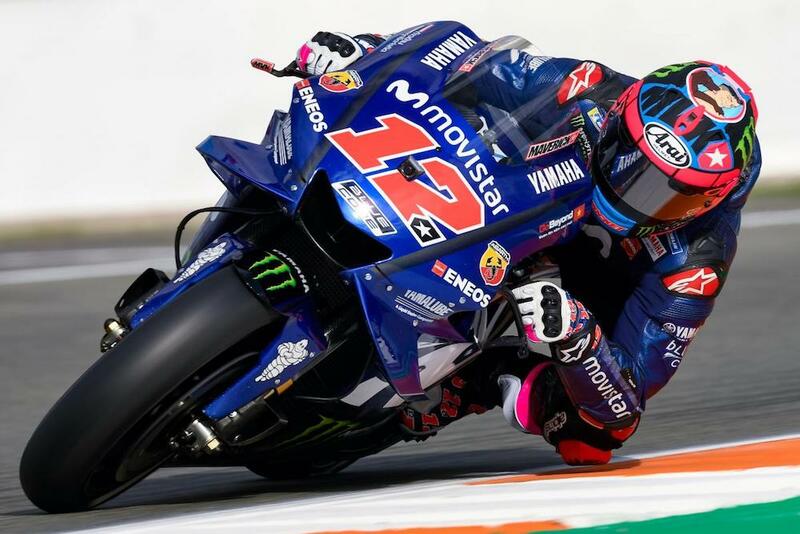 It seemed to pay off, because both Rossi and Vinales set their fastest times on the new motor, with the Spaniard topping the time sheets convincingly and Rossi slotting in third. Vinales looked particularly happy. Simon Crafar interviewed him at the end of the day, and he had a smile so wide that the top of his head was in danger of coming off. The biggest improvement for him was corner entry, with the different engine braking allowing him to carry more speed. Rossi agreed with him about the corner entry, but warned that the motor was still problematic on corner exits and still worked the rear tyre too hard. Both riders are set to test a second new engine on day two. 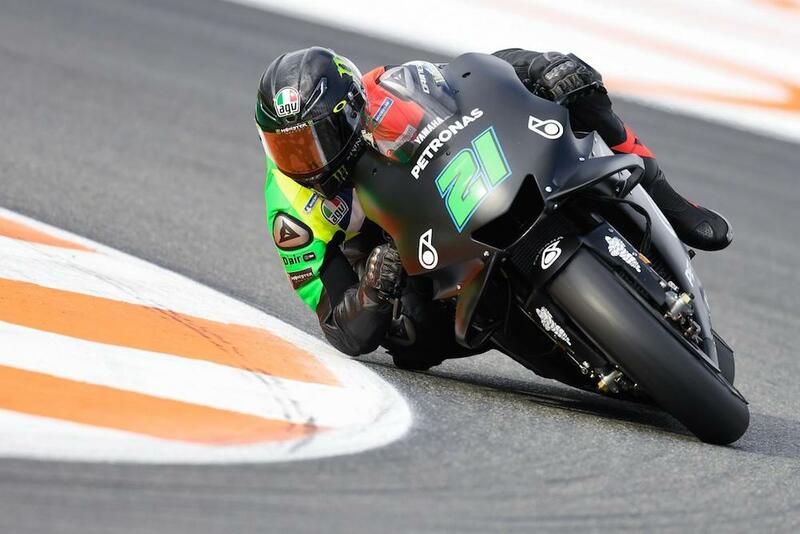 Also on the Yamaha front is the debut of the new Petronas Yamaha team with riders Franco Morbidelli and Moto2 graduate Fabio Quatararo, the latter spending the day coming to terms with the new class and finishing in a modest 23rd place, 2.4sec behind Vinales. Morbidelli, on the other hand, seemed to shine aboard his new machine, running consistently towards to top of the time sheets and eventually finishing in sixth place, 0.6 sec behind the leader. 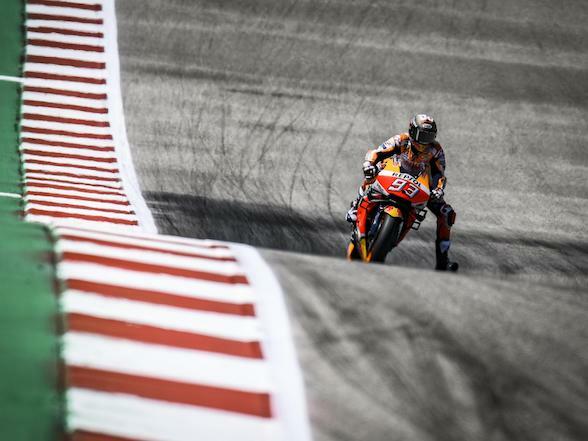 This is a contrast to his 2018 season aboard the woefully underpowered 2017 Honda that he battled to get anywhere near the top ten on. 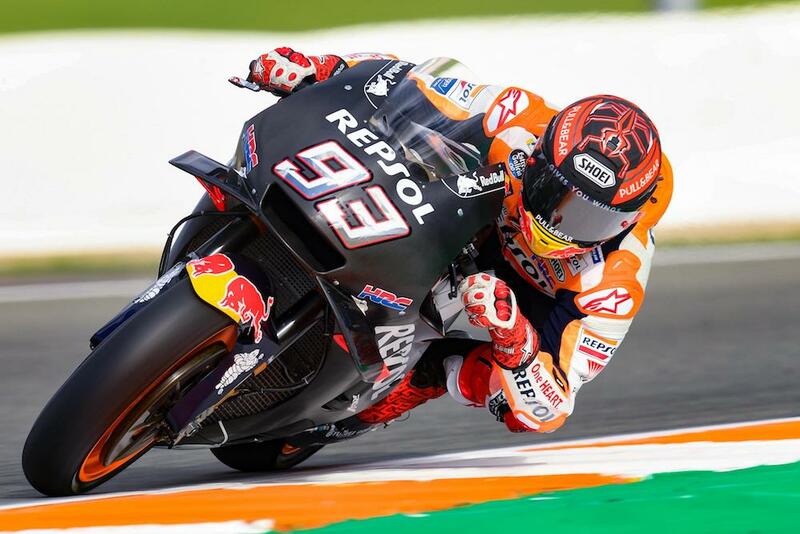 Honda brought two new versions of their bike to try, with Marquez starting out on the 2018 bike before switching to the first of the two new models. 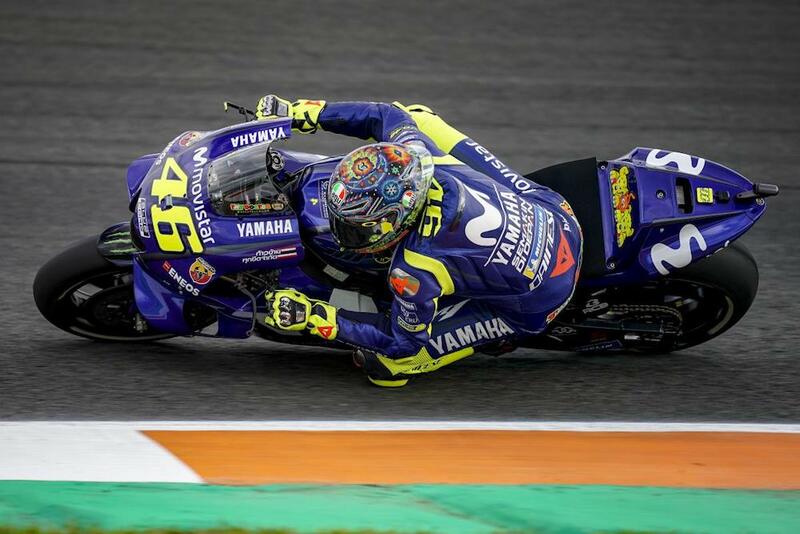 He set the second fastest time of the day, 0.3 sec behind Vinales and a tenth of a second ahead of Rossi. The rain started falling before he could try his second new bike. 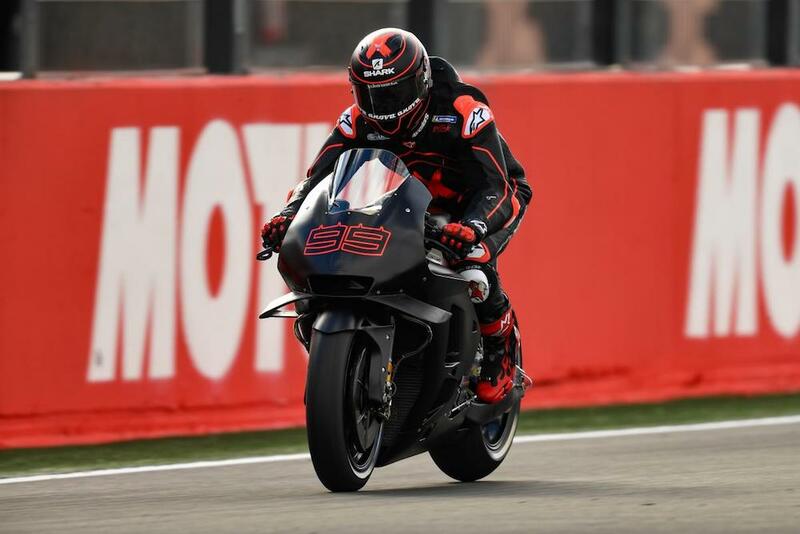 He said that the new bikes focuse on gaining in torque meaning more time gained down the straights, plus trying a new front end that will not rely so heavily on the hard front tyres. This is good news for Lorenzo, who took his first careful laps aboard the Honda. 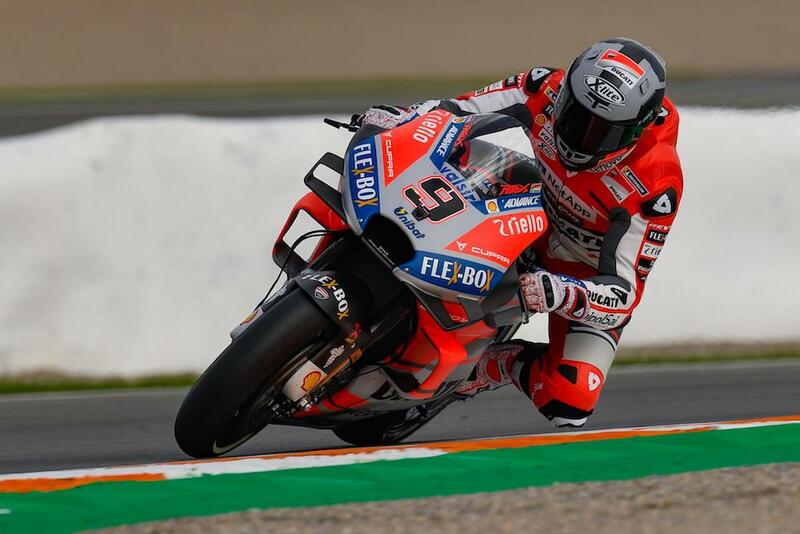 He was not fast, finishing the day in 18th place, 1.5 sec behind the leader and 1.2 sec behind his team mate, but this is the Lorenzo Way – slow and cautious, building up bit by bit. What is interesting is that he looks significantly more relaxed and happier than he did when he first debuted on the Ducati two years ago. If the Honda engineers manage to get their machines able to run softer fronts, this will be a huge relief to Lorenzo who has always found it to be the tyre of choice. In the Ducati camp things were more frustrating, especially for Dovizioso who claimed that they didn’t get much done due to the afternoon rain cutting their session short. 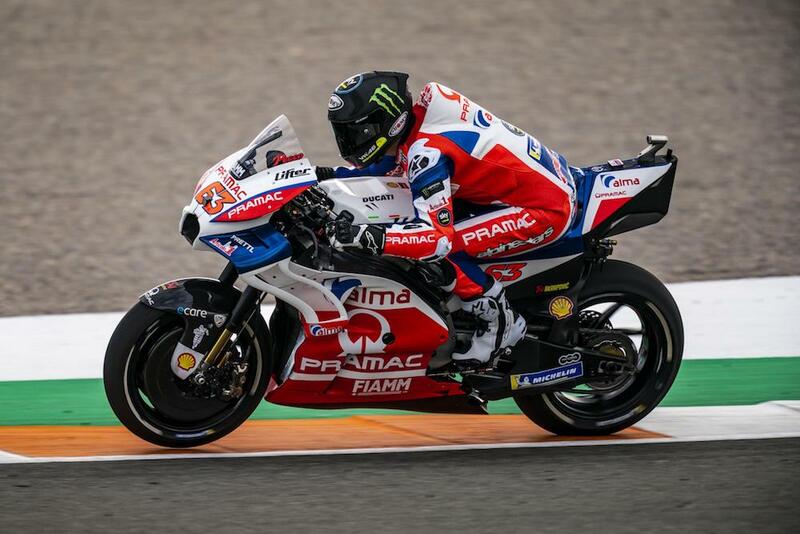 The problem for them and their methodical work pattern is that they had no base to go on due to the entire race weekend being wet, thus they spent most of the day on the 2018 bike getting a foundation to build upon before trying 2019 goods. Sadly, the rain hit as they began their 2019 testing, causing much frustration for the Italian. He finished the day in fourth, 0.4 sec behind the leader. 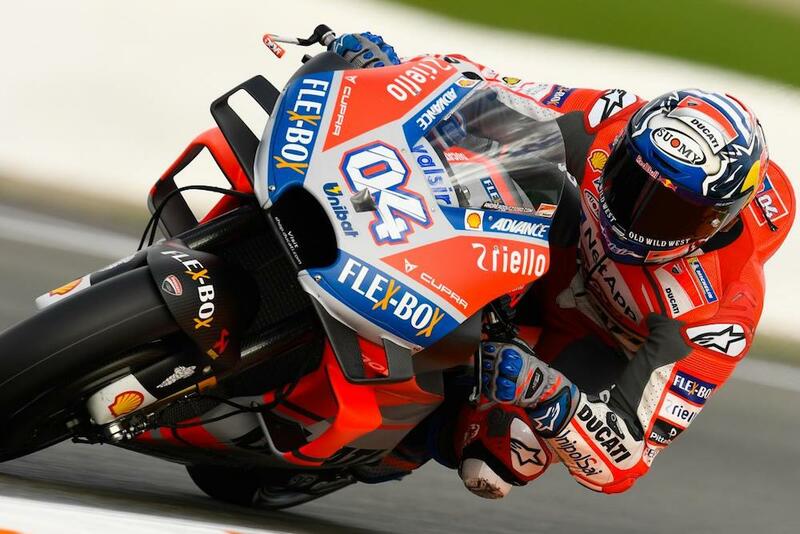 Petrucci has swopped Ducati boxes and now wears the full red factory colours. 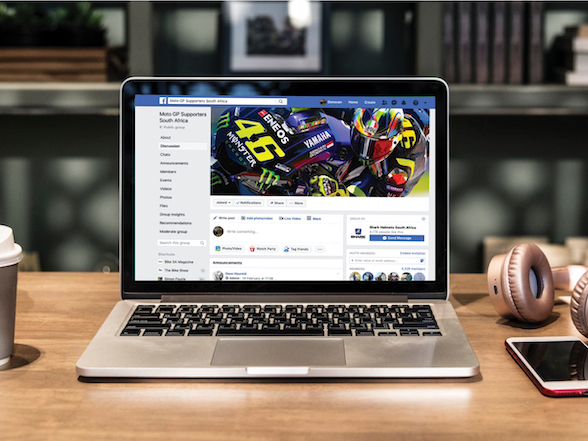 This is a big deal for him, after switching to MotoGP from World Superstock as an unknown six years ago and riding a modified Aprilia road bike in the now redundant CRT class. Frankly, he just seemed very chuffed to be there, showing none of the frustration of his team mate. 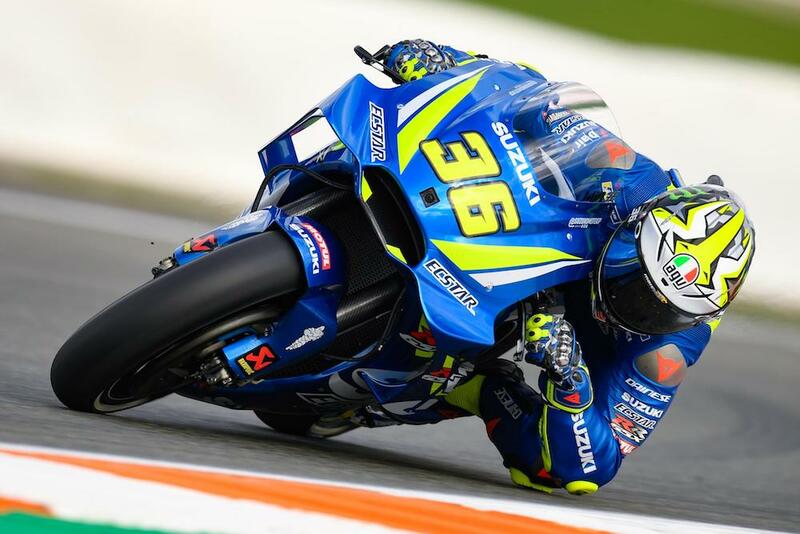 This was partly due to the fact that he did manage to spend some time aboard the 2019 bike, noting particularly its increased stability out of corners. He also said that the back tyre runs at a cooler temperature, something he particularly struggled with in 2018. He finished the day in eighth, 0.6 sec behind the leader and 0.2 behind his team mate. 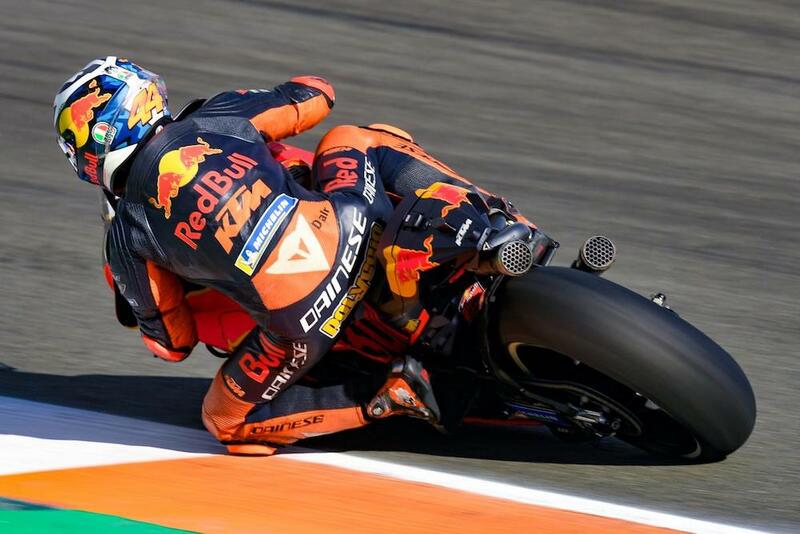 Pol Espargaro continued KTM’s good form at Valencia finishing in 9th while his new team mate, Johann Zarco, put on a more timid show finishing in 17th. 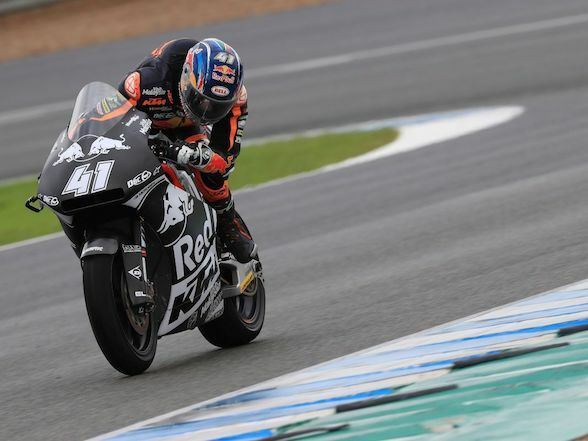 The newly-dubbed Red Bull KTM Tech 3 team had not such a good debut with team orange, finishing in the bottom two slots with riders Hafizh Syahrin and rookie Miguel Oliveira. KTM was expected to debut a new motor with a counter-rotating crank although we are not yet sure if it featured today. Two rookies that did have a good day were Moto2 champion Pecco Bagnaia on 2018 Ducati with the Pramac Team and Joan Mir on the factory Suzuki. 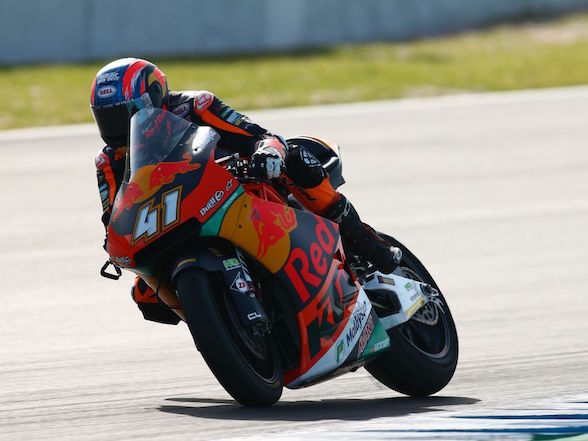 Mir showed good form for most of the day, eventually finishing in 15th place, 1.3 sec behind the leader and just 0.4 sec behind his team mate, Alex Rins. 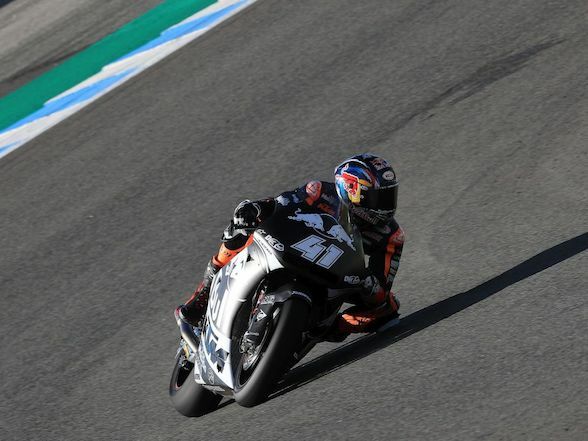 This is not his first outing on a MotoGP bike, though, as he took part in a private test at Motegi a month ago. Bagnaia, though, put in a hauling pace towards the end, finishing in 11th place just 0.9 sec behind the leader. Let’s put that into perspective – Marquez was 0.9 sec from the leader on his MotoGP debut. While they have some way to go before they can run near the front, this is an incredible pace for the two kids, especially Bagnaia who is riding a full-on MotoGP bike for the first time. Next year could be very very good. Testing re-commences on Wednesday at 10am GMT+1 time or 11am South African time. The weather man says it should be cool with no rain expected. Previous Post The return of the legendary Brough Superiors: "Achingly beautiful"